Navigating Hospitals: Teaching Hospital vs. Non-teaching, Does it Matter? A recent study reported major teaching hospitals may have lower mortality rates than minor teaching and non-teaching hospitals. The study monitored 30-day mortality rates for common conditions, including pneumonia, congestive heart failure and stroke as well as the mortality rates after common surgical procedures, including hip replacement, coronary artery bypass grafting and colectomy. The 30-day mortality rate was 8.1% at major teaching hospitals, 9.2% at minor teaching hospitals and 9.6% at non-teaching hospitals. The overall 30-day mortality difference between major teaching hospitals and non-teaching hospitals was 1.5%. “This pattern—with major teaching hospitals showing better 30-day outcomes—persisted even after the researchers adjusted for patient characteristics such as age and severity of illness, and hospital characteristics such as size and profit status,” the study says. According to the study, major teaching hospitals also had lower 7-day and 90-day mortality rates— by 0.3% and 1.6%, respectively—than non-teaching hospitals. So what exactly are teaching hospitals? This may seem like a lot of information to take in, but if you visit here you can look at informational videos that explain exactly what teaching hospitals are and how they function. Teaching hospitals are essentially exactly what they sound like they are. They provide clinical education and training to current and future health professionals. 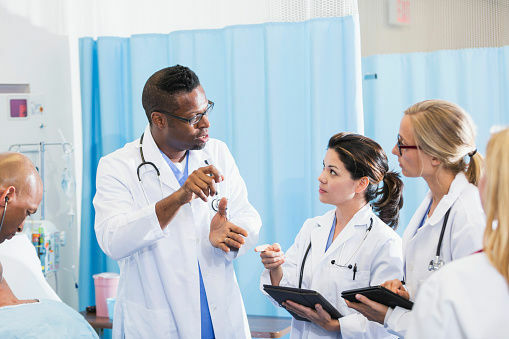 “Teaching hospitals provide care for the most-complex patients and the urban underserved population, train the next generation of physicians, and advance biomedical research,” says the The New England Journal of Medicine (NEJM). There are really two types of teaching hospitals - academic medical centers (major teaching hospitals) and minor teaching hospitals. Academic medical centers, however, have two components, a teaching hospital and a medical school. A minor teaching hospital usually does not have a medical school. They are both pioneers of our healthcare system, because they are the centers where doctors learn and patient care advances. Non-teaching hospitals, of course, have professionally trained medical staff, but they are generally not the changers and leaders that make major medical breakthroughs. Non-teaching hospitals include community hospitals. Their primary mission generally involves meeting the primary or essential health and medical needs of its community. Primary health care usually consists of services, including family practice/internal medicine, pediatrics, obstetrics, cardiology and sometimes services, including orthopedics, urology, psychiatry and neurology. Depending on resources, community hospitals may offer some specialty services on a limited basis or full-time. Though not always recognized for their medical advances or highlighted in the media as much as larger major teaching hospitals, community hospitals are just as vital. Their existence is the backbone of our healthcare system and their strategic locations offer quick access to care during emergencies. If you take a look at the 2016 - 17 Best Hospitals Honor Roll, which lists the top 20 hospitals out of nearly 5,000 evaluated, you will see they are mostly if not all teaching hospitals with extensive educational services and research resources. Mayo Clinic. Has a very extensive research team with 332 full-time scientific faculty and 758 physicians actively involved in research. UCLA Medical Center. This is an academic medical center that has been on the forefront of many medical breakthroughs. UCSF Medical Center. This hospital has multiple professional schools for areas, including dentistry, medicine, nursing and pharmacy. Stanford University Medical Center. Check out a timeline of their medical achievements and innovations here. Cleveland Clinic. They are an academic medical center with 1,958 residents and fellows in training. They also have 107 accredited training programs. Hospitals have different strengths, so as consumers we need to be proactive by educating ourselves about those strengths and specialties and determine where we can get quality treatment appropriate for our individual conditions and needs. Whatever your decision, we are here to help you along the journey.